The main difference between ITR-1 and ITR-4S lies in the fact that ITR is opted by those assessees who chooses presumptive taxation, whereas this is not so in the case of ITR-1. The Central Government of India has the right to levy Income Tax. It is a direct tax, imposed on the total income of the person, in the previous year. The term person includes all type of assessees covered under the act, i.e. Individual, Association of Persons (AOP), Hindu Undivided Family (HUF), Body of Individuals (BOI), partnership firm and body corporate. The tax is governed by the Income Tax Act, 1961. Income Tax Return (ITR) refers to the proclamation of income by the assessee, in the recommended format. It must be filed as per the provisions of the act. Central Board of Direct Taxes (CBDT), is the body that provides the relevant format for filing of return by different types of assessees. While filing the return, many individuals suffer confusion regarding which ITR form is suitable for them. There is a slight difference between ITR-1 and ITR-4S, which lies in the heads they cover. So, let’s continue further, to compare and contrast these two types of forms. Meaning ITR-1 is a return filing form applicable to the individual who derive income from salary, rent and interest. ITR-4S is an income tax return form used by those assessees, who have chosen presumptive business income, and also derives their income from salary, rent and interest. Income Tax Return form 1, shortly known as ITR-1, is a return filing form filled by an assessee, when his total income in the previous year includes income from salary or pension, house property (only one and that too should not include loss brought forward from any previous years) and other sources such as interest on fixed deposits or saving bank deposit. In addition to this, if the income of other persons like spouse or minor is clubbed with the assessee’s income, then also the return form is used, only if their income falls under the specified heads. Two or more house property. Casual income, i.e. winning from lotteries, card games, horse race and so on. Agricultural income more than Rs. 5000. Income Tax Return form 4S, also known as ITR-4S, is for those assessees who opted for presumptive taxation on their business income under section 44AD and 44AE of the Income Tax Act, 1961, provided the turnover of the taxpayer is less than equal to 1 crore. It also includes those taxpayers who earn income from salary, one house property (except when loss brought forward from any previous years) and income from other sources, i.e. interest income. 44AE is for presumptive taxation for plying, hiring and leasing of goods (up to ten vehicles) and 44AD is for other businesses. Presumptive Taxation Scheme is a method, wherein the assessee pays the tax by estimation. Under section 44AD, the profit earned by the assessee is estimated at 8% of the turnover and in section 44AE, Rs 7500 will be presumed as net income per month from each vehicle, irrespective of the heavy or light vehicle. In this scheme, any business expenses will not be allowed. Further, the assessee neither has need to maintain books of accounts nor to pay advance tax. If clubbing provisions apply to the assessee, and the income of other persons are clubbed in the tax payer’s income, then this form is filled only if the income being clubbed falls under the heads specified above. More than one house property. Casual income such as winning from lotteries, crossword puzzled horse race, etc. The profession as prescribed under section 44AA(1) or agency business or commission for brokerage. Speculative business and other special incomes. Note: ITR 4S has been discontinued in financial year 2016-17 and it has been renamed as ITR 4. ITR-1 is a return filing form applicable to the individual who derive income from salary, rent, and interest. ITR-4S is an income tax return form used by those assessees, who have chosen presumptive business income, and also derives their income from salary, rent, and interest. ITR-1 is known as ‘Sahaj’ while ITR-4S is called ‘Sugam’. ITR-1 applies to Individual only whereas ITR-4S covers Individual and HUF. ITR-1 is used only when the income is mainly from three heads i.e. salary, one house property, and other sources (except casual income). On the other hand, ITR-4S applies to four heads of income i.e. presumptive business income, salary, one house property, and other sources (except casual income). Therefore, before filing income tax return, the assessee should first consider these provisions. The primary difference between ITR-1 and ITR-4S is the presumptive business scheme, which is included in ITR-4S but not in ITR-1. Please tell us that I have no any source of income, I am a student of 21 year. Can I fill my itr of which type. No, you don’t need to file any ITR. ITR-1 would be the best option for you. hI, I have fixed deposits and i get interest on it. which ITR should i file? I don’t have any income. You should file ITR-1, if the interest income exceeds the minimum limit. HI ,Please let me know the ITR form to fill for salried individual with income above 50 lac. I have agriculture income more than 1 lac. Which one should i file ? On my dashboard I can only see itr 1 and itr 4s. I earn from freelance web designing. My income is from Other countries as well as India. Which should I fill, ITR 1 or ITR 4?? ITR 1 is the best option for you. I HAVE SALARY INCOME, PROFESSIONAL INCOME AND OTHER INCOME (SB INTT). I HAD FILLED ITR-1, CAN I REVISED MY ITR-1 TO ITR – 4. Yes, Income tax law allows you to revise your return prior to the expiry of one year from the end of the relevant assessment year, or prior to the completion of assessment, whichever is earlier. My income includes Capital Gains from shares sales. I tried to defile on Income tax website. There are only 3 options available there Form ITR1, ITR 4 and ITR4s. The law says none of these 3 forms can be used by assesses having income from capital Gains. What to do? Time left is 4 days. When there is income from capital gain, ITR 2 has to be filed. I am a consultant Doctor working in a corporate Hospital having a professional income and also twice an year I work for a couple of weeks abroad and hence having some earnings from outside India. Which is the most suitable ITR form ? In your case, ITR 3 is the best option. You can revise your return. NOW IN THE FY 2016-17, I CLOSED MY BUSINNESS AND NO BUSINESS INCOME . ONLY ONE HOUSE RENT INCOME . CAN I FILE ITR 1 / ITR 4 . Is there any possibility to change the e filling from itr3 to itr1 after getting defect mail. (i am salaried IT employee). Yes, Shweta you can revise your return prior to the expiry of one year from the end of the relevant assessment year, or prior to the completion of the assessment, whichever is earlier. Hello TDS has been deducted on interest earned form 16A has been furnished. How do I file ITR and which form should I use. What all needs to be uploaded. I have income 2.5 lacs approx. from home Tutions and 50.00 thousand from Interest on saving, i should file ITR 1 or ITR 4. please suggest. WHEN WILL THE ITR-4 FILING STATUS COME INTO GENERAL CONSIDERATION. i am a private homeopathic physician and doing private practice on my clinic. Consultation charges is the main source of my income. Whichone itr form is suitable for me 1 or 4. My NRO income is less than Rs. 20,000. My NRE income is less than Rs.500,000. 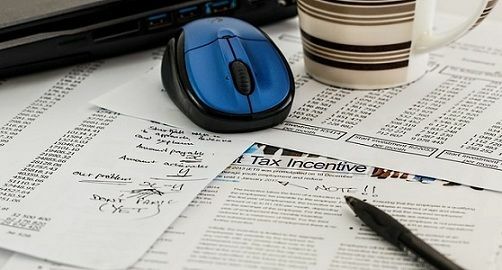 Do I need to file an income tax return? My income is above Rs 250,ooo but taxable income is below Rs. 250,000. I had filed itr 1 for last 2 AY BY Showing income IOS but income was from small business.there is no shop act license or any other proof regarding business.. that’s why am filing return under IOS is it right??? Hello mam, i am housewife and i have no source of income and i recent sold a property which is near about 9 lakh. So am i liable to pay any tax or not. can you please advice me which ITR form i should fill, as i have following income sources. getting money for online work. my total income is less than 10 lakhs. I was a self employed professional (Doctor) till September but In October I joined a permanent post of Central Government (Salaried). Can you please advice me which ITR form to fill or can I fill my ITR using ITR 4 (presumptive taxation scheme). Will all the earned amount clubbed under this Section 44 AD? I have income of Rs 45000 under sec 194J and I do not wish to show any presumptive income/expenses. I wish to pay tax for entire Rs.45000. In that case can I add this income as Casual income in ITR-1 ? I am a salaried employee and having two houses – one under self-occupation and the other was let out. Which ITR form should be applicable for filing my tax return? You can file ITR – 1 if your income is less than Rs. 50,00,000. WHAT IF THE INCOME IS MORE THAN 50,00,000 WITH TWO HOUSES ONE IS SELF OCCUPIED AND OTHER LET OUT?? I earned Income from Salary, Part time Direct selling of cosmetic products of Avon received 30% profit from sale and Income from Partnership firm as a partner i.e. Interest on capital and profit sharing income. I earned income from salary and commision from lic and income from brokerage pls suggest itr form No. Hi, I am a Company Secretary and working as a freelancer. The companies for which I work for are deducting TDS over my income. Shall I fill ITR-1 or ITR-4 ? My HUF received 40000 rs as a gift every year. Which ITR I have to file? I am a senior citizen with income from only from Bank & Post Office FDs. Pl let me know which ITR I should File. Hi, I’m a freelancer and earn income from outside india. Which form should I use? And, I take my brother’s help in completing my work frequently and pay him a nominal amount of Rs 5000/pm in cash. Can I show this under deductions? (‘cos I’m paying him to do my work). Kindly clarify. I am an NRI for AY 2018-2019 and have received income in interest from savings, FD, and rental income from house. Additionally, I have some income received from my car, which I leased to a private company. I am filing ITR2, is that the correct form? If yes, where exactly should I report the car lease income? If ITR2 is not the correct form, which one should I choose? Hi, Thank you for providing us these articles and a space to help us with our queries. If commercial rental property isn’t counted towards deciding the form , so can I based on that have one ( residential ) rental income + interest income only , file using ITR1 ?